Migrate to Canada | Go For Visa | Australia Immigration Consultant & Visa Experts in India. Canada, one of the best destinations for migration, is capable of providing you and your family with quality standards of living. The political stability and the developing economy of the country have given rise to excellent career opportunities, high education benefits and low rate of violence and crime. Canadian immigration services allow you to enter the country in a legal manner on a temporary or permanent basis. The Canada immigration application process differs among various groups. Canada is considered as immigrant friendly nation in the world due to its lots of equal opportunities and great living environment across the country. It is also easy to complete all the immigration procedures in Canada than any other country in the world and this is the reason why most of the people like to migrate to this country. The Canadian government also encourages the young skilled workers from any part of the world to start a career in their country as they respect high talents and skilled people from anywhere. The another good thing about migration to Canada is that the employment opportunities as well as safe living environment is not specific to any few cities in the nation as all the cities in the country offers great potential in employing skilled workers. Even from the developed nationals like America, from Europe, people are coming to work and live in Canada due to its beautiful and peaceful environment throughout the country. The English and French are the two major languages spoken in the country and English fluency skills are highly required to make a comfortable living in Canada for the immigrants. If you have a lot of work experience in a particular area or have a large amount of skills, you will be allowed to settle following your immigration to the country. In case you decide to qualify for permanent residency via a Canada work permit, you will need a Canada based firm to offer you a job for a minimum of 12 months, on the condition that it fits within the specialised sectors that require your talents. In Canada immigration, skilled workers visa and professional visa for immigration also requires you to meet the requirements of English language and French. If someone wants to go to Canada to study further, then the best thing is to apply to good Universities and to Colleges who give the best quality of training to all. After the study is over, then they can apply for the job in Canada by themselves only. And once they keep on working for more than two years they will them be good to apply for Permanent Residency in Canada. 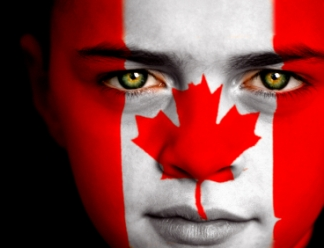 To have more updates and moving to Canada go to our site www.goforvisa.com or mail us at info@goforvisa.com. Well, I am convinced with your opinion. This is the good time to move for Canadian Express Entry. Many of us facing many problems for getting a visa. Recently I met immigrationexperts, they are professionals and having a good experience in Canadian Immigraion. You must consult with this guy on Cnadian Express Entry. Very nice article about Canada Express Entry.Get to know lot of information about Canada Immigration.